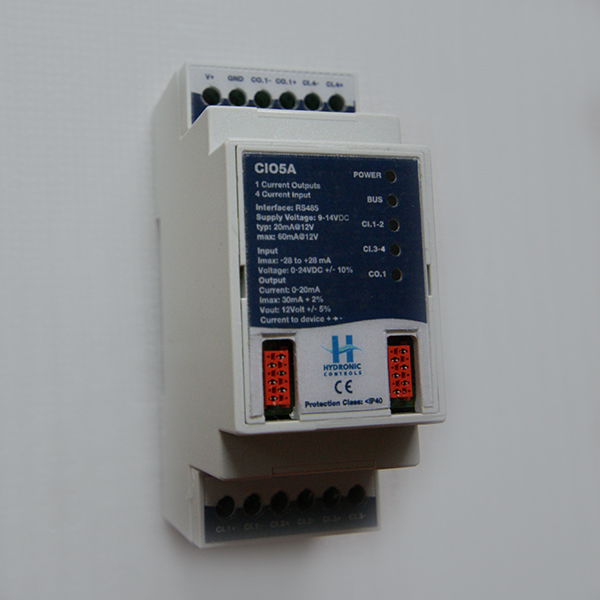 CIO5A current output-inputs module - Hydronic P. Co.
CIO5A module offers 4 current Inputs and 1 current Output. 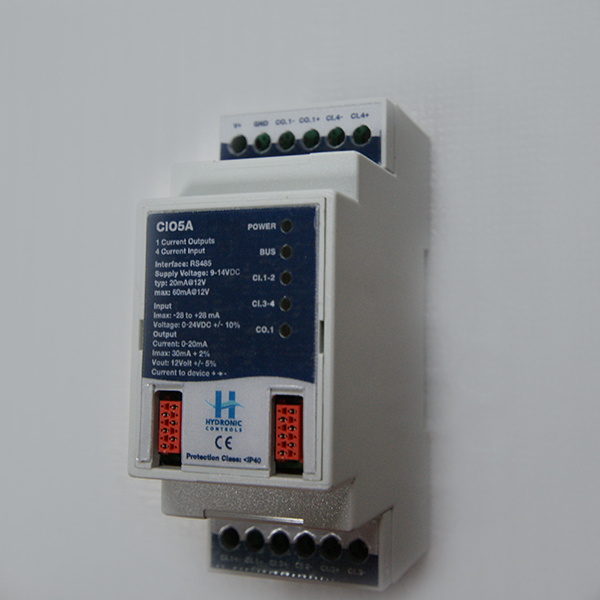 The current output does not require external power source as it is internal powered, offering a simple and flexible solution in installations. 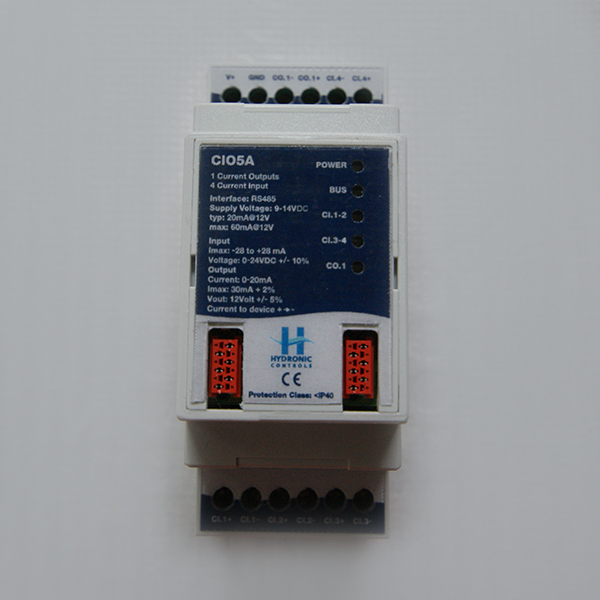 The current to the device flows from (+) to (-) contact.